At end of the year, as it is habit in many countries, also in Slovenia they are choosing best athletes of past year. 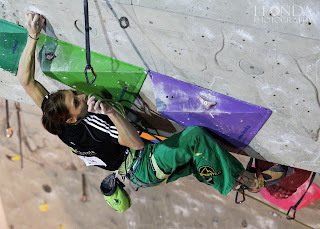 Although that climbing is not an Olympic sport and it was an Olympic year and many Slovenian's took really good results, i finished on 3rd place by women. I would also like to mention, that this award means really a lot to me! 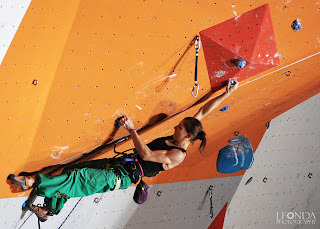 It is another and one more confirmation of really good results in past years and also very nice confirmation of growing recognize of sport climbing. 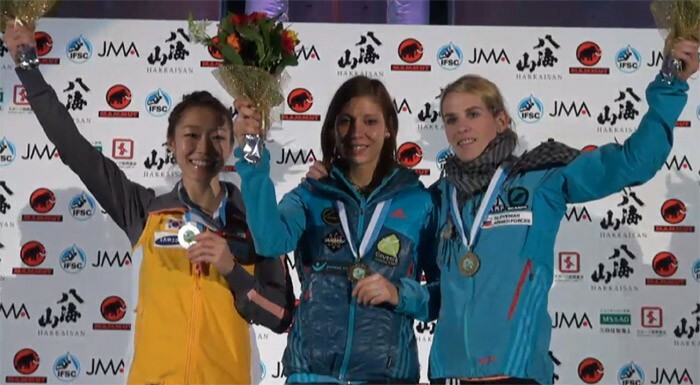 First place went to Slovenian Olympic gold medal winner Urška Žolnir and this year amazing skier Tina Maze. Big congratulations and respect to both! 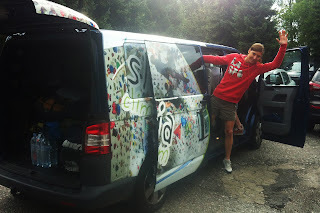 So, we also used our trip to Germany to visit new climbing gym in Stuttgart. 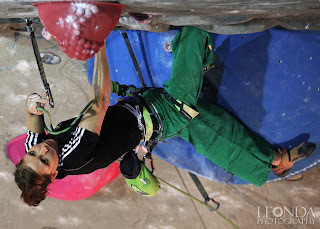 On opening evening there was an interesting contest of speed -simultynious climbing and have to admit, i had really good time and fun! 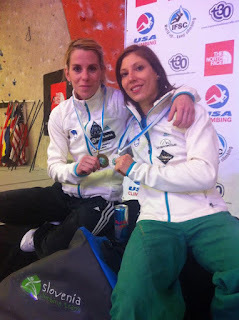 As you probably know, this year Slovenia climbing team started to cooperate with Adidas outdoor. And because year is coming till end and december is time for things like this, we accepted special invitation from company, to meet each other in personal, discuss about plans and so on ... I have to say, that i was impressed and glad that we had the opportunity to visit place, where everything is coming from (small village Herzogenaurach in Geremany). In next days it is comming up some more interesting things to do... 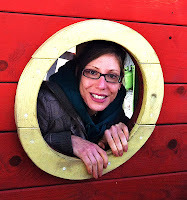 So, i hope i will find time to blog and report some interesting things soon! Another very successful competition and a great result! So, our last stop on this 'Asia competition tour' was in Mokpo, nice city, close to the sea in Korea. 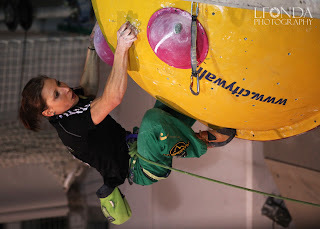 It was again everything really well organized*, the climbing wall was amazing and I also really liked (hard) routes there. 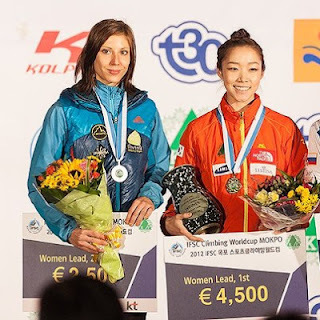 This time, win went to Korea's climber Jain Kim, who showed really nice and good climbing and to Dinara Fahratdinova (3rd place), who took her first medal – congratulations to both! 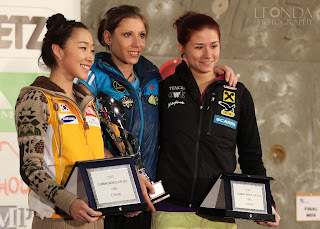 So, in those days we have already moved to Japan, where it will be 3rd (and last) WC competition of this 'tour'. 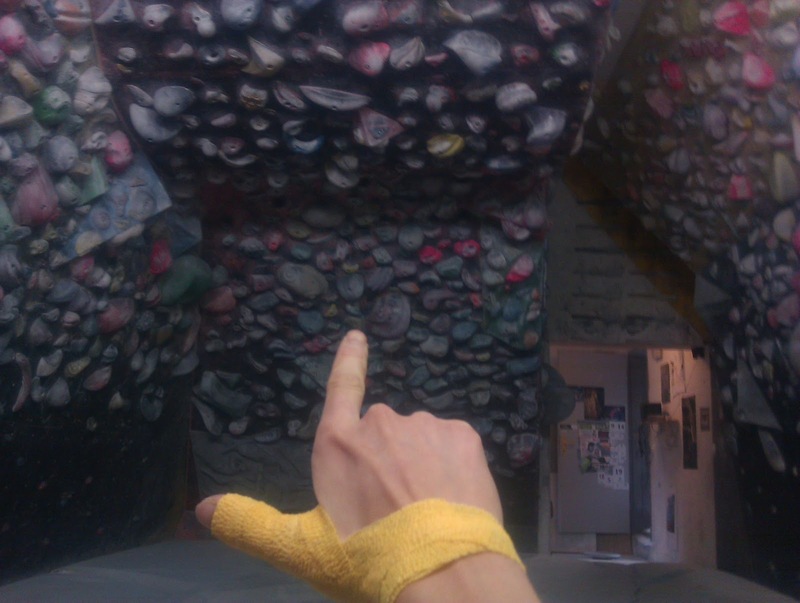 Currently we are placed somewhere in suburb of Tokyo, climbing, chilling and having fun untill next competition! New competition, new top and poduim :). Well, we are already well acclimatized in China, atmosphere here in Xining (Quinghai planetau - 2500m) is different, but nice, weather continental, with cold mornings/evenings and nice sunny days, actually good conditions for climbing. And there was again different story. Route looked nice and climbable, but I didn't want to underestimate it. 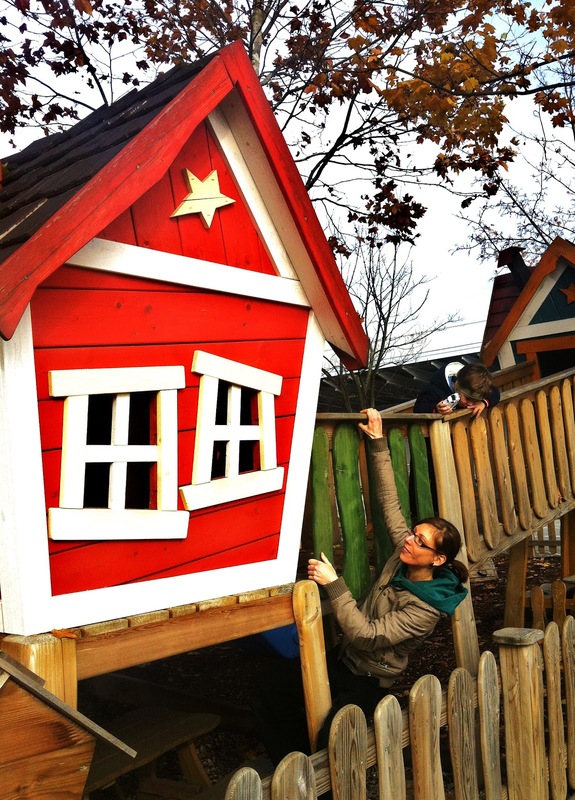 I have started to climb and everything went smooth and easy. 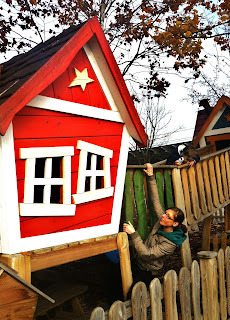 With every move reaching the top seemed more realistic. Finnaly I have clipped the top chain, but about 20 seconds too late for winning. WHY? Me and Johanna both topped out final route, and were also judged at the same height in semifinals. 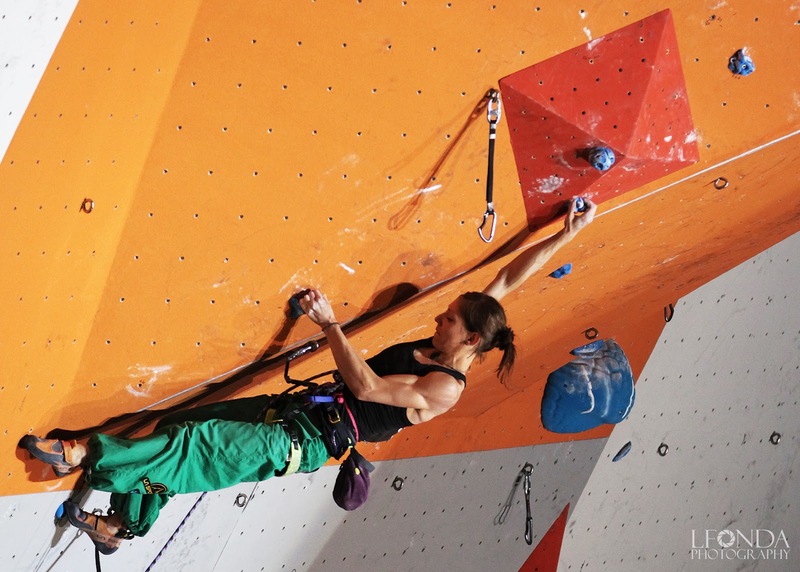 So due to the new rule, if two (or more) climbers are at the same point in all rounds, at the end, time is the judge. Ok, that's the way it is, I am still very happy that I did the route!!! :). 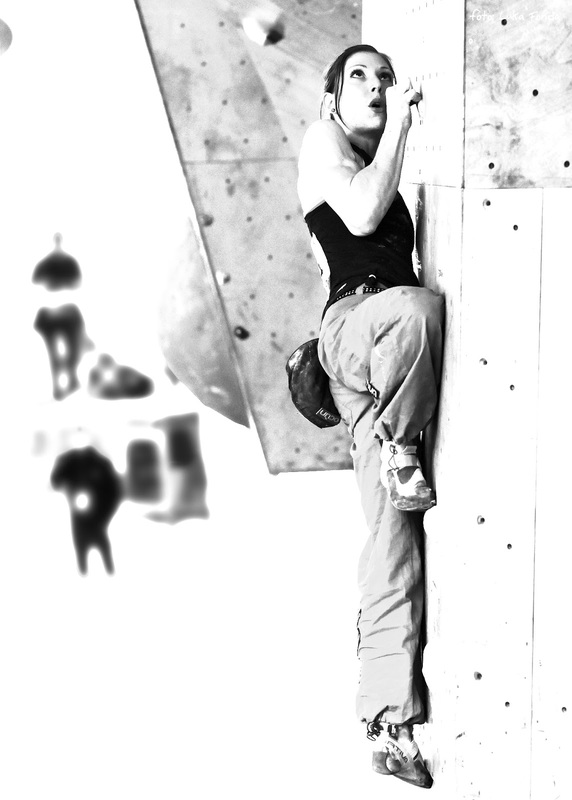 PS: And even, if I would know about Johanna's top, I probably wouldn't be climbing (much) faster, becase you still needed to finish this route and obviously it still wasn't so easy (if it was, there would probably be more than 2 tops, right?). I think also neither of us climbed really slowly, actually 6:09 or 6:27 seems very reasonabble climbing time for a route this long. But, what bothers me more is fact, that already for the 3rd time this year, I have climbed finals good enought to win, but finished 2nd or 4th, because of a mistake or lower heihgt in semifinals :S … Yes, it just got me thinking a bit to do something about it! But I think already in cmming day I will have more than one perfect chance to try to change this :). Our next stop after Xinning will be master in Wujiang, Jiangsu city in China. Stay tuned and I will update ;)! Qualifications went fine and I toped out bouth routes. Next udate - tomorrow! So, just after a few days after Puurs we have already been in Atlanta for next lead cometition. 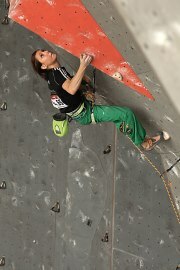 Qualifications routes were this time maybe little easier but more tehnical, what suited me and brought me 2 tops. The next day in ½ final I did a mistake, but corrected it very good in the longest (but still very nice) final route, that I have never climbed. Based on ½ final results, where I did the mistake, I finished on second place, but was very happy to be on the podium again. 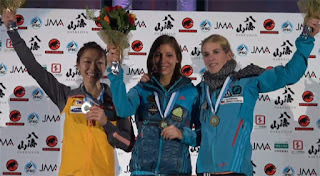 Congratulations also to my teammate Maja for the new podium and of course to Jain Kim for winning this event. 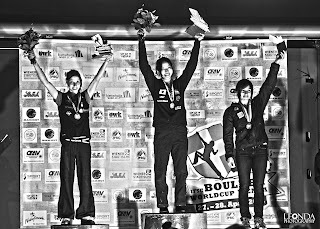 Next time, you will hear from me from Asia, where we are going to 4 competitions – (12.-13.10. Xining (Chn), 16.-17.10. Pudong master (Chn), 20.-21.10. Mogkpo (Kor) and 27.-28.10. Inzai (Jpn). Just after few hours we started with ½ final. Route looked really nice, quite logical and long … and i admit, looong was also time in isolation zone. But after 25 climbers it was time to go. This time, very similar like in ½ final in Chamonix i found out route quite easy and 'walked' to the top again! Satisfied with good climbing i went home to rest and prepare for next day's FINALS! In finals first started boys, so i couldn't watch them climbing :( , but still congratulation to Jorg Verghoeven for win! … After them it was time for women’s final! I have warmed up and waited for my turn ... This time i didn't feel so comfortable on wall like day before, did couple of little mistake trough the route and sure, get more and more tired on the way up. I didn't reach the top, but i am still quite satisfied, that i have tried my best. Congratulations to Momoka Oda for her first win and sure, great performance!